Kerry Tribe’s time based works explore memory and representation through film, video, performance and installation. For Critical Mass, she restages Hollis Frampton’s 1971 groundbreaking experimental film of the same name. In Frampton’s classic structural work, he captures a young couple arguing on film then meticulously edits the single take into a series of repetitive, staccato snippets, unhinging the continuity of the dialogue. 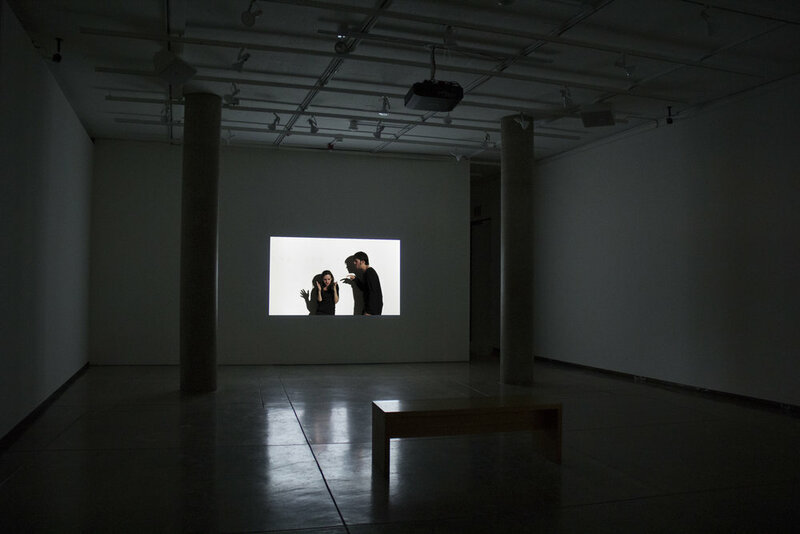 In Tribe’s project, actors Nick Huff and Emelie O’Hara perform Frampton’s film from memory, shot for shot, retaining all the original repetitions and stutters of the original work. Kerry Tribe was born in 1973 in Boston. She received her MFA from UCLA in 2002, and was a Whitney Independent Study Program Fellow in 1997–98. Her work has been the subject of solo exhibitions at 356 Mission Rd., Los Angeles; the Power Plant, Toronto; Modern Art, Oxford; Camden Arts Centre, London and Arnolfini, Bristol. Tribe’s Critical Mass has been performed at the Museum of Modern Art, New York; Tate Modern, London; the Walker Art Center, Minneapolis; Kadist Art Foundation, San Francisco, and the Whitney Museum of American Art in New York. The recipient of a Creative Capital grant, California Community Foundation award and a USA Artists Fellowship, Tribe currently lives and works in Los Angeles. Kerry Tribe: Critical Mass is part of The Interstitial, a program that takes advantage of the time and physical space between exhibitions. The Interstitial hosts performances, installations and other time-based events that transpire over the course of an evening or several days.